Damian Stoy is a professional ultra runner, coach and founder of Wholistic Running. He has been injury-free for over 10 years using his methods. Here are his must read books. Read his bio and race results as well. Scott Jurek is one of the world’s greatest athletes. He is 7-time winner of the Western States 100 and the U.S. record holder for the 24-hour run (165 miles). He is also vegan and explains why eating whole foods is most beneficial! ‘Eat & Run’ will inspire and educate everyone. Scott includes recipes and tips to help get you started on your path to greater health through running and eating. Marshall Ulrich ran 60 miles a day for 52 straight days in a record setting run across America at the age of 57. I was fortunate enough to coach with him this Summer! 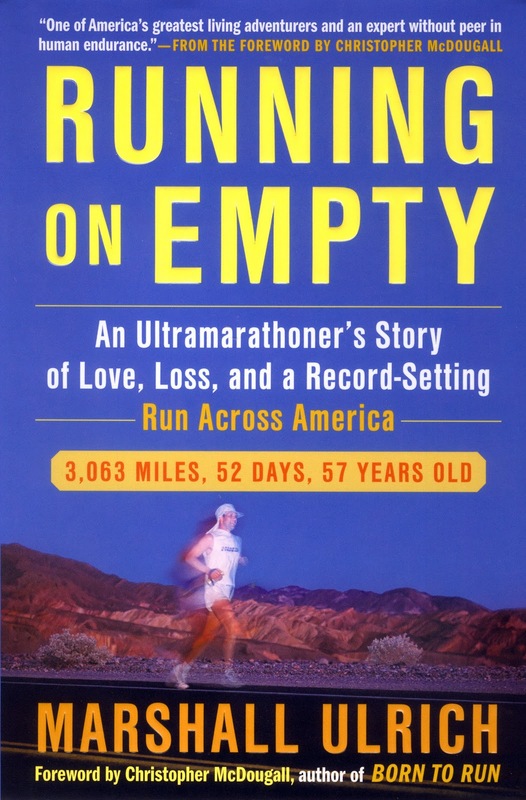 ‘Running on Empty’ is the story of his 3,063 mile run that will make you laugh, cry and want to start your own adventure. Marshall has also won Badwater four times, is the only person to ever do a Badwater Quad and has climbed the highest summits on all 7 continents. 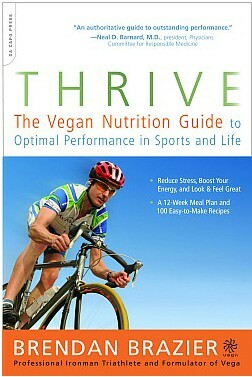 Brendan Brazier, a professional Ironman triathlete, wrote ‘Thrive: The Vegan Nutrition Guide to Optimal Performance in Sports and Life’. As an elite athlete, Brendan tried every diet out there. He found eating a whole foods, vegan diet made him feel the best and perform optimally. ‘Thrive’ is full of recipes, tips and reasons why eating a whole foods, vegan diet is the way to go for athletes and non-athletes. Danny Dreyer, founder of Chi Running, transformed the running world with his revolutionary technique and book. Thousands of runners around the world are running with fewer injuries, more efficiency and greater joy. The book is full of lessons and exercises to understanding the fundamentals of the Chi Running technique. ‘Born to Run’ changed the way we look at running. Humans are truly born to run, if we do it correctly. Christoper McDougall’s book includes incredible characters, amazing athletic achievements, cutting-edge science, and, most of all, inspiration. These amazing stories will motivate you to run simplier and with a deeper connection to your self and nature. This entry was posted in online running coach and tagged books, born to run, brazier, chi running, dreyer, eat & run, eat and run, health, marshall ulrich, Running, scott jurek, thrive, vegan by Wholistic Running. Bookmark the permalink.